Teber was born in 1980 in İzmir. He graduated from Boğaziçi University, Department of Guidance and Psychological Counseling, in 2003. 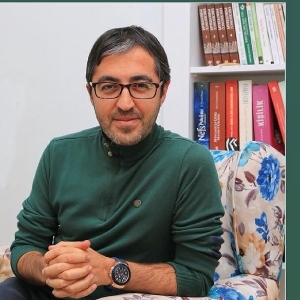 He received his first graduate degree from Boğaziçi University in Educational Sciences and the second from Hasan Kalyoncu University in Clinical Psychology. He is currently a PhD candidate in Clinical Psychology. After university, he worked in many institutions; rehabilitation centers, counseling centers, private courses, kindergarten and private schools. In 2008, he founded Ahenk, a consulting center in partnership with two of his friends. In 2016, the center was renamed as Ahenk Cocuk. Currently, he continues his interviews and therapies on children at his center. At the same time, he gives seminars and trainings on child education and play therapy at various institutions as well as providing consultation services for many projects on children. He is married and father of three children and has written 5 books.